The Cherry Creek Arts Festival is an annual festival held in Denver, Colorado, during the first weekend of July, usually Fourth of July weekend. 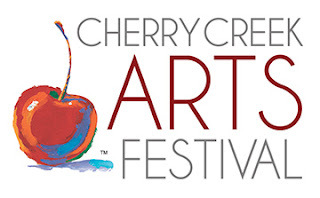 The first annual Cherry Creek Arts Festival began in 1991. The Cherry Creek Arts Festival is a year-round, non-profit arts services organization that presents an award-winning annual civic event. For three days during early July, the nation's #1 outdoor Arts Festival is presented in Denver's Cherry Creek North neighborhood. Visitors enjoy free access to a diverse array of art forms in a unique setting. 350,000+ people comes to visit here , the Arts Festival features over 232 of the nation's visual artists; seven performance stages presenting a broad range of entertainment; a volunteer program with over 1,000+ volunteers working in 23 different committees; and a sponsorship program with a 91% retention rate. 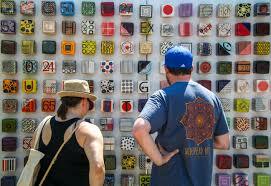 The [Cherry Creek Arts Festival] continues to be a vital part of Denver's annual cultural and economic landscape, contributing approximately $20,000 annually to local non-profits and $250,000 in tax revenues, CCAF's overall economic impact is $11–13 million each year. The Arts Festival is hosted by the Cherry Creek North Business Improvement District and receives no commission for the sale of artwork. CCAF is entirely dependent upon donations, sponsorships and grants, in addition to support from the City and County of Denver and the SCFD. On an individual level, the public can support the Arts Festival by purchasing official Cherry Creek Arts Festival posters and merchandise for sale throughout the year, as well as refreshments for sale on-site. Individuals and businesses are also invited to participate in the Arts Festival's "Festival Club" and Donor programs.